Have you ever thought how many office hours your employees just waste each day? Half the time, a quarter? What additional expenses do you take upon yourself? Are you ready to continue paying for the Internet traffic that is useless for business? It is not a secret that many employees visit entertaining resources at work and thus reduce your profit, on average, by 1 to 2 hours daily. How can you fight it? Stop using the services of your ISP, limit employees in their access to the Internet if possible, organize a general meeting and deal with the issue at hand? It is all possible, but there is another way out. It should be mentioned that information has currently become a very important issue, or you can even say it is the key issue nowadays. Is there anyone out there who is not interested in making their business more profitable and increasing their income? And there is no need to employ additional industrial resources, make considerable investments or attract sponsors for that. 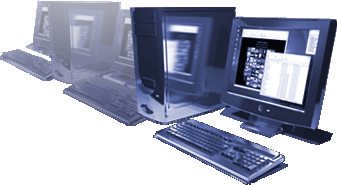 You can just use a proper software product, such as LanAgent – a program for monitoring computers on the local area network of an organization. So, why is it unique and attractive at the same time? It is quite a good question you can answer by just looking at the intuitive interface of LanAgent. And if you take into account the entire scope of features available to its user, you get a truly rare software product allowing you to evaluate how office hours are spent and combining the possibility of controlling and interacting with each particular employee. With the features of the LanAgent software taken into account, you can say that you gain not only the total control over your employees, but also completely unbiased information about the office hours of each employee or each department, which allows you to plan your workflow, evaluate the activity of each employee as well as his or her skills and abilities. There are a lot of people who think that this kind of software cannot prevent "advanced" users from unauthorized access to Internet resources since such programs can be easily found among running processes in Windows NT/2000/XP, but in case of LanAgent whose agents are completely invisible in all operating systems, you can rest assured that this product will be an effective tool. As to the ethical issue, it should be made clear that LanAgent by no means intrudes on employees' personal life. Neither does it trespass on their rights. On the contrary, it serves as an incentive for employees making them take the initiative and prevent their company's facilities and resources from being wasted. So, why should you try to guess and foresee some possible result of your company's activity when there is a way to actually increase the efficiency of work and reduce expenses on paying bills from Internet service providers. After all, it is all up to you.